NORWAY. 2012. Vesteraalen. 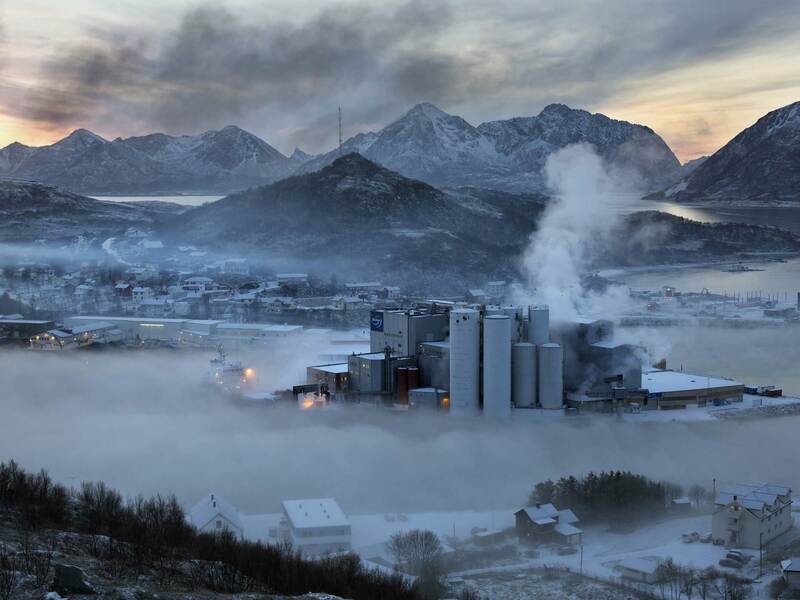 Surrounded by low sea fog, a fish feed plant in Myre, a fisheries town of a few thousand people.